Ben Bernanke, the Chairman of the Federal Reserve said the U.S. economy was stronger that it was last year at this time, but he does not want to stop the recovery quite yet. Bernanke told a Joint Economic Committee in Congress that prematurely tightening the U.S. monetary policy could lead to a temporary increase in interest rates. However, it would also carry a significant risk of making the recovery of the economy slower or ending it completing and cause the inflation rate to fall even further. Bernanke said the key interest rate for the short-term has remained near zero since late 2008 and will stay there for a considerable amount of time, as the economic recovery strengthens. The country’s central bank also is handling a controversial stimulus policy referred to as quantitative easing, where it purchases each month $85 billion in securities that are mortgaged-backed as well as Treasury Bonds. This policy’s goal is to reduce long term interest rates to help stimulate economic growth through a number of channels. 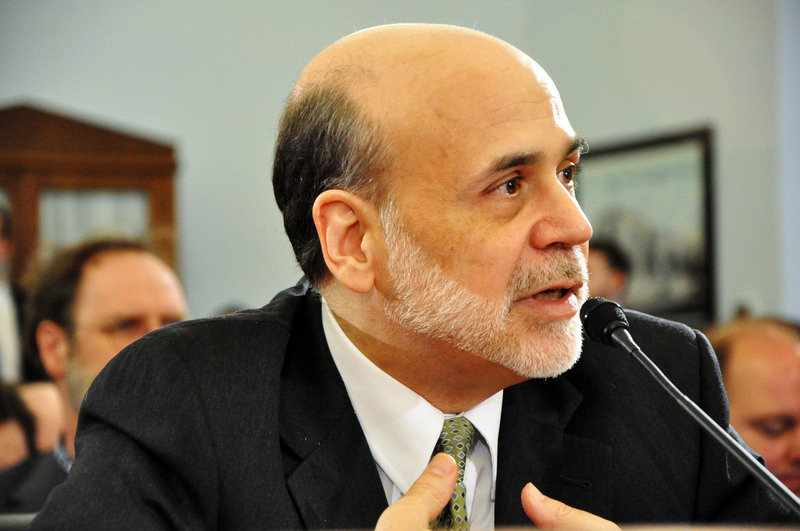 For instance, low mortgage rates, have helped to bring back the housing market allowing homeowners to get refinancing and has given buyers incentive to buy a new home, said Bernanke. The recovery of the housing market has also help boost jobs in the real estate and construction sector. Since 2011, the two industries have increased jobs by over 415,000. However, it remains unclear how effective the controversial policy is in healing the overall job market. Following the economic crisis the U.S. economy lost over 8.7 million jobs and since then has only gained back a little over 6.2 million. In April, unemployment was down to 7.5%, which was a big improvement from 10% when the financial crisis took hold, but is well above the level prior to the crisis when it was just 4.5%.